Posted on 22, February 2016 by EuropaWire PR Editors | This entry was posted in Awards, Electronics & Machinery, Slovenia and tagged Gorenje, home appliance manufacturers, home appliances, Quality Medal, Slovenians, The QUDAL. Bookmark the permalink. 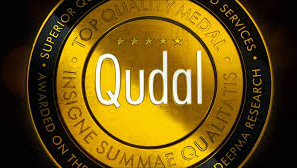 Velenje, Slovenia, 22-Feb-2016 — /EuropaWire/ — In the QUDAL – Quality Medal research Slovenians were asked which white goods and home appliance manufacturers in their opinion guarantees the absolute highest level of quality. In this category Slovenians have placed Gorenje on the top of the list. Icertias’ certificates QUDAL, Best Buy Award and Customer’s Friend have become recognised by consumers on numerous markets in more than 40 countries on five continents as tokens of quality and good-buy benchmarks.